He didn't take the time to really sit down and talk with me. Wrote me off and was quick to leave.I don't feel like I gained anything from seeing him. Would not recommend. He didn't take the time to really sit down and talk with me. Wrote me off and was quick to leave. I don't feel like I gained anything from seeing him.Would not recommend. My first visit as a patient with Doctor Paul Scolieri was by far a delightful experience. I was nervous not knowingwhat he was going to tell me. He was very polite and introduced himself by his first name making me feel much better and more relaxed. He was very professional and I would recommend him highly. I left his office feeling much better than before I got there. He made me feel that I was going to be O.K. and my health issues were going to be resolved. Thank you Dr. Paul Scolieri and your Staff. My first visit as a patient with Doctor Paul Scolieri was by far a delightful experience. I was nervous not knowing what he was going to tell me. He was verypolite and introduced himself by his first name making me feel much better and more relaxed. He was very professional and I would recommend him highly. I left his office feeling much better than before I got there. He made me feel that I was going to be O.K. and my health issues were going to be resolved. Thank you Dr. Paul Scolieri and your Staff. 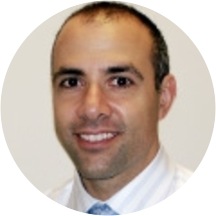 Born and raised in Pittsburgh, Dr. Scolieri returned to Western Pennsylvania to join South Hills ENT Association in 2002 after completing his residency at Case Western Reserve University. He is active in the local medical community, and speaks nationally on ENT-related topics. Dr. Scolieri resides in the South Hills of Pittsburgh with his family. His interests include fitness, sports, technology and travel.